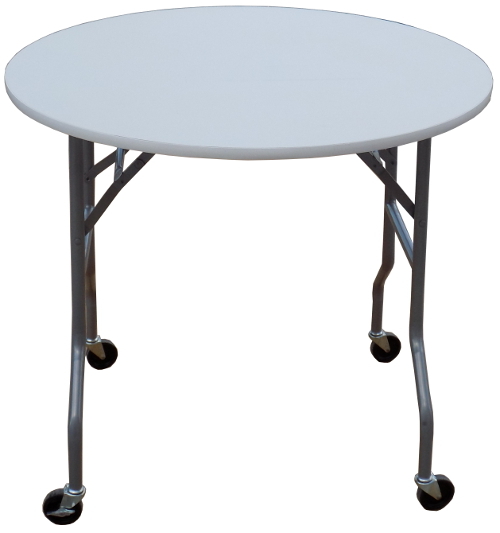 This 36" round folding table on wheels is great for cake tables, displays & more. The fact you can prepare the display, and then wheel it where is needs to go, is priceless. All 4 casters have a locking brake.